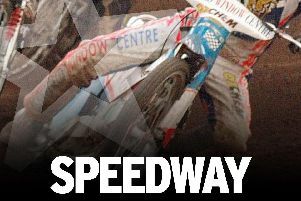 The 20-year-old was unveiled by Sheffield Tigers bosses at Owlerton on Thursday as the first name on the team sheet for 2019. He impressed during the Top Gun individual in July, where he came second, and has also caught the eye of many during practice sessions up and down the country. He heads back home on Tuesday to begin his preparations for next year where he is determined to follow in the footsteps of some of his compatriots. “You look at the likes of Doyley (Jason Doyle), the Holders (Chris and Jack), Todd and Brady (Kurtz) and Max (Fricke), there’s so many Aussie boys who’ve come over here and made a name for themselves,” Kennedy said. “England is a great way to get your career going and it’s amazing to have my first team place for next year sorted. “Since I came over here the other month, Lemo (Mark Lemon - Australian Manager) has set me up with a few things and Sam (Ermolenko - 1993 World Champion) has been great too. “He’s really taken me under his wing as they say and to say he hardly knew me when I got here, I couldn’t have got this far without him. “This is a huge thing for me and it feels so good to be joining Sheffield. “I really enjoyed the track when I rode in the individual meeting and it’s been a pleasure to ride a couple of times in practice too. 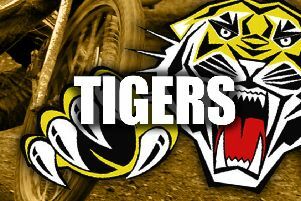 “Sheffield is a good club and I can’t wait to get going for them next year. “I head back to Australia on Tuesday and there won’t be too much time relaxing. “I’m going to make sure I’m as fit and prepared as I possibly can be and I’ve got the advantage of being able to ride fairly often back home over the winter.